Will the DVD and Blu-ray be region coded? Yes, the DVD will be region R1, and the Blu-ray will be region A. What about other rewards like the soundtrack, or items signed by the Japanese creative staff? I have rights to the videogram (DVD and Blu-ray) and select categories of merchandise (such as apparel and printed items). Unfortunately, I couldn't get access to the soundtrack or artwork signed by the Japan-side creative staff. What about subtitles and audio tracks? In addition to the English dub, we will have the original Japanese audio with full English subtitles, and song/sign subtitles to go with the English dub. You will be able to turn off the subtitles for the DVD, but not for the Blu-ray. For sizes above 4XL, please ask the backer to select the "4XL+" size and email me directly at skipbeat@piedinc.com with their measurements. What are the materials for the jacket? The jacket is satin with lightweight lining so it can be worn year round. It is made out of 100% polyester material and is manufactured by a reputable clothes maker in Pakistan called Pels Verk. What are the materials for the t-shirt? The t-shirts are 100% ringspun cotton. They are manufactured by a reputable clothes maker in Pakistan called Pels Verk. All rewards will be shipped via USPS 1st Class Mail (for Canada, USPS 1st Class International Mail). Will the rewards be offered for retail sale later? A limited selection of the rewards will be offered for retail sale via Righstuf (http://www.rightstufanime.com/) and Amazon in 2017. 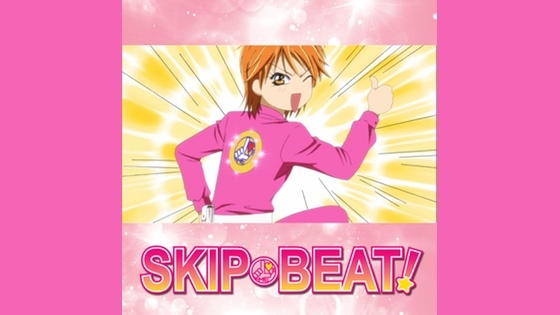 We are committed to creating the best possible release for Skip Beat, and need additional time for the dub. The dub is scheduled to be complete in late October. After the dub completion, the major milestones will be: Authoring Disc replication and packaging Fulfillment/Shipping We will keep you updated along the way. It's been an amazing journey so far - beyond our wildest dreams in fact. Thank you for making it all possible! Ann Pied PIper, Inc.